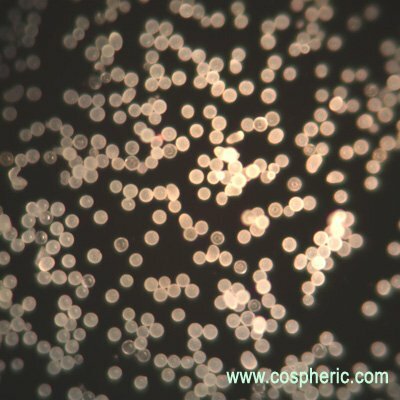 Cospheric LLC specializes in a large selection of polyethylene microspheres in particle size from 1um to 1.7mm. 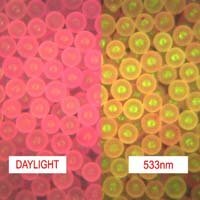 High quality solid polyethylene microspheres are now commercially available not only in a wide variety of colors, but also with opaque, paramagnetic, fluorescent, and phosphorescent properties. 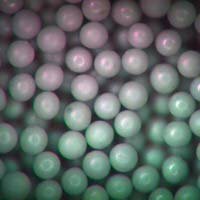 Some polyethylene microspheres have a strong triboelectric (electrostatic) charge. Black microspheres can be manufactured with paramagnetic or static-dissipative properties. 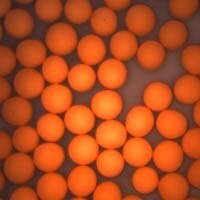 Microspheres in any color can be made neutrally buoyant in water with specific gravity of 1.00g/cc. 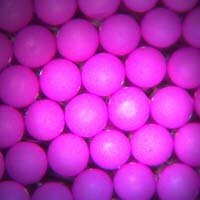 The density can be adjusted to create microspheres neutrally buoyant in other media. 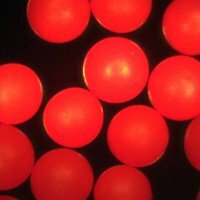 A wide variety of PE microparticles with custom specific gravity from 0.96g/cc to 1.3g/cc, allowing researchers to match the density of the spheres to that of the surrounding fluid for PIV and fluid flow visualization experiments, as well as density marker beads applications. 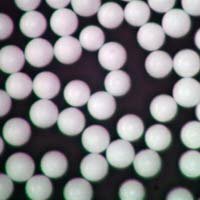 Most of the grades of polyethylene microspheres meet the specification of >90% in particle size range and >90% spherical particles. 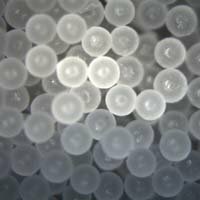 PE Polymer beads are generally hydrophobic and have high protein binding abilities. However, they often require the use of a surfactant to ensure ease of handling and suspension in aqueous solutions. 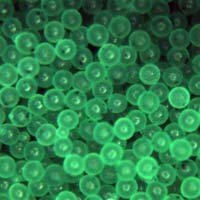 Custom color and density polyethylene microspheres can be manufactured by request. Size and Form: Solid polymer spheres in dry powder form. Refer to sizes for USA standard sieves (ASTM E11) for ranges of particle sizes. Sphericity: Polyethylene spheres are screened to prevent any dust, debris, and non-spherical microparticles. 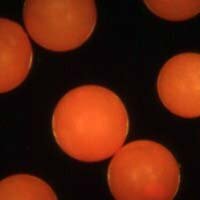 High quality identical polymer spheres with excellent uniformity. 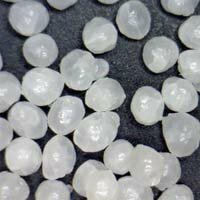 Opacity: Clear microspheres are translucent pure polyethylene. 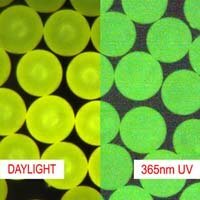 Opaque microspheres are truly opaque (will not transmit light even in a 50um monolayer). 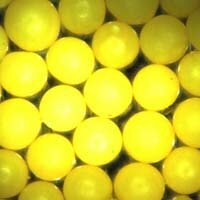 See link for research articles involving our polyethylene spheres. 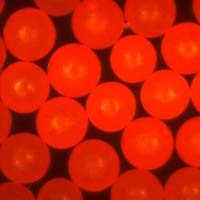 Microspheres in ten unique colors to enable color-coding for contamination and calibration studies. 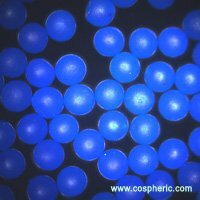 Cospheric specializes in developing and manufacturing polyethylene microspheres to customer's specific color requirements. 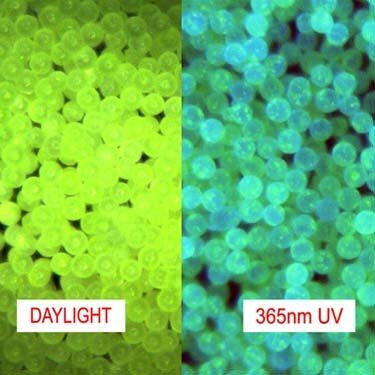 Fluorescent polyethylene microspheres in nine unique formulations emit bright colors at various wavelength and become highly visible when illuminated by UV light. Highly valuable in process diagnostics and troubleshooting, process flow, medical research and other industries. 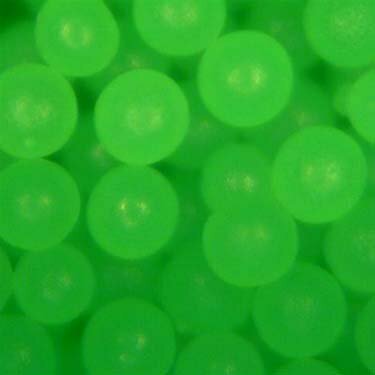 Barium sulfate polymer microspheres are opaque to X-ray and other imaging techniques. 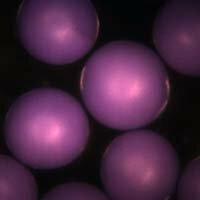 Barium sulfate contrast material is embedded into the polyethylene microspheres and acts as a radiocontrast agent for diagnostic procedures. Black paramagnetic microspheres in dry powder form have enabled scientists to leverage the benefits of paramagnetic particles in new applications. Flowability and visibility of larger microspheres, with the ability to be separated from other materials for reuse and cleanup. Janus particles are bichromal and bipolar. Polyethylene core spheres of specific size range are hemispherically coated with a material of different color to achieve a half-shell effect, especially suitable for applications where observation of rotation and translation of particles is needed. 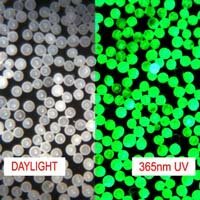 Phosphorescent particles are used for process study and blind tests especially in medical technology industry, diagnostics, troubleshooting, process flow, medical research and other industries. 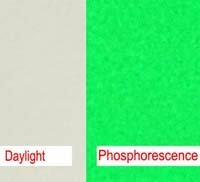 Particles exhibit a strong long-afterglow phosphorescent response and are stable in solution.